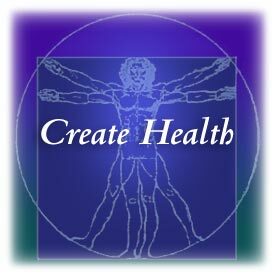 Our Philosophy: Create Health | Welcome to Peak Performance! At Peak Performance, our goal is to help you create your own health. We want to empower you as an individual to be healthy and reach your full potential. We consider health to be the measure of how well you are adapting to and enjoying your life. Our mission is to make this a better world for everyone. We believe that life is better when all things are in balance. As our name suggests, at Peak Performance, we endeavor to enable you to reach your own peak performance, to reach your own maximum potential. This is much more easily achieved when your brain and body are working well together to maintain your own peak performance. We believe that health is created not by treating the lack of it, but by optimizing all the conditions of your life so that your body can respond to your own innate intelligence without interference from either physical misalignment of the spine or from outside stresses. We know that the life force, your innate intelligence, always wants to express itself at 100 percent—and will do so when the opportunity is there. Your body will always heal itself whenever possible. Understanding our philosophy of health from within without interference will shift your philosophy from thinking about treating illness to thinking about how to create health, and is a first step towards reaching your own true peak performance. Peak Performance Comes from Living in Balance!